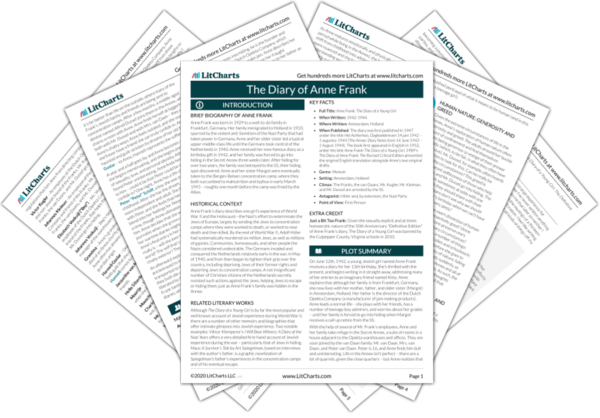 Instant downloads of all 946 LitChart PDFs (including The Diary of Anne Frank). 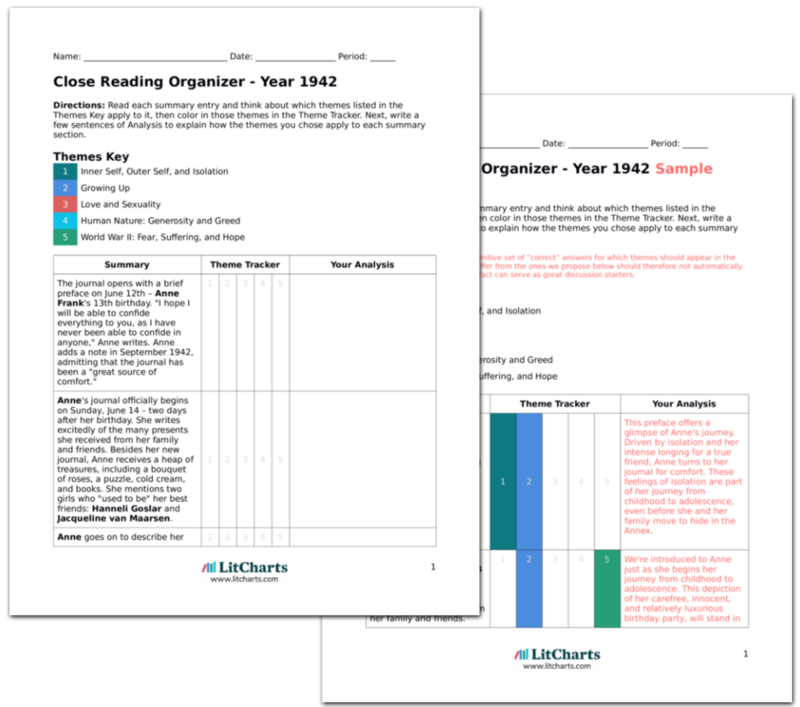 LitCharts assigns a color and icon to each theme in The Diary of Anne Frank, which you can use to track the themes throughout the work. 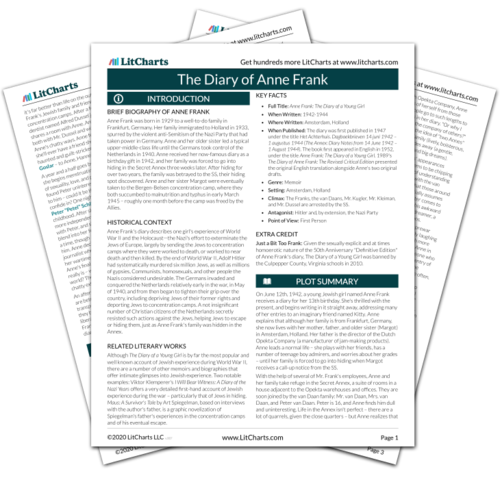 Get the entire The Diary of Anne Frank LitChart as a printable PDF. Reges, Margaret. "The Diary of Anne Frank Themes." LitCharts. LitCharts LLC, 5 Jan 2014. Web. 23 Apr 2019. Reges, Margaret. "The Diary of Anne Frank Themes." LitCharts LLC, January 5, 2014. Retrieved April 23, 2019. https://www.litcharts.com/lit/the-diary-of-anne-frank/themes.